As I drove under the raven gate at Gunsite Academy, I thought to myself, “These are the kind of events that make being a gun writer worthwhile.” An invitation passed from Ruger to one of my editors ended up in my lap, and I jumped at the chance to go. First up was the new Security-9 pistol. Many years ago, Ruger introduced the Security-Six revolver—a nearly indestructible .357 Magnum that was priced significantly below comparable Colt and S&W products. The gun was popular with private security companies who needed a workhorse revolver at an economical price. The Security-9 is, of course, named for its 9mm chambering, and it uses double-stack 15-round magazines. Two come with the gun, which also has a 4-inch barrel and a polymer frame. Ruger spent a great deal of effort to make the Security-9’s frame as ergonomic as possible. It has a very comfortable grip angle and excellent texturing for a secure hold. It also boasts an accessory rail for lights and lasers and has a one-piece, full-length hardcoat anodized aluminum chassis to keep all of the fire control components in proper orientation. Despite the size approximation to the Glock 19, the Security-9 is not a striker-fired gun. Its mechanics are very similar to that of the LCP, and it uses a pre-cocked hammer with a lot more engagement on the sear. The result is a very serviceable, crisp trigger pull with a positive reset. It almost feels like a single action. The Security-9 also possesses a manual thumb safety located in the familiar 1911 position. Gunsite’s instructors left it up to us as to whether we wanted to use the safety or just run the guns like Glocks. Using supplied Blade-Tech holsters, we adjourned to the range, where we were introduced to Jeff Cooper’s step-by-step drawstroke from the holster. From there, we practiced controlled pairs followed by failure-to-stop drills. Hornady supplied us with plenty of its 115-grain Critical Defense FTX rounds, and the Security-9s ran flawlessly. The gun was comfortable to shoot and pointed naturally, and everyone seemed to like the trigger. After lunch, we returned to the range to find that Jeff Hoskinson of MGM Targets had set up new Steel Challenge Plate Racks. We ran a number of exercises with the MGM steel and even had a man-on-man shoot-off before moving over to Gunsite’s “Urban Scrambler,” a field course designed to test a shooter’s ability to use cover while firing from unconventional positions, reloading where necessary and moving as rapidly as possible between targets. Trevino and Pluff then set up a USPSA-style course afterwards, and we each took turns running the high-round-count stage with yours truly coming in first place! The first day was long, and we each put at least 300 rounds through Security-9s without any major problems. The next day we were introduced to Frank Saunders, the principal design engineer of Ruger’s new Pistol-Caliber (PC) Carbine. This is a completely new semi-auto chambered for the 9mm. It has a takedown design similar to the Ruger 10/22 Takedown’s and has a rigid synthetic stock that comes with spacers so you can adjust the length of pull from 12.38 to 14.13 inches. With the magazine removed and the bolt locked back, depressing the takedown release and twisting the forend a quarter-turn clockwise allows you to separate the barrel/forend from the receiver. It’s quick and easy, and reassembly is just as simple. A big selling point of the new PC Carbine is that it can use either Ruger SR9 or Security-9 magazines. By changing out the magazine well module with the included Glock mag well, the PC Carbine can take 9mm Glock magazines. Since we were already using the Security-9s, we continued to use these magazines in the PC Carbine. The carbine currently ships with one 17-round SR9 magazine. The new carbine is blowback operated and uses what Ruger calls a “dead blow” action. A tungsten weight, nearly as heavy as the bolt itself, floats freely in the bolt assembly, essentially reducing the length of the bolt stroke and greatly reducing felt recoil and muzzle lift. The bolt’s charging handle can be changed to the left side if desired, and the magazine release is also reversible, making the PC Carbine southpaw friendly. Ruger machines the receiver from 7075-T6 aluminum, and it has a Picatinny rail on top for optics. Also, the fluted, 16.12-inch barrel comes with 1/2×28-tpi muzzle threading for those who want to suppress their PC Carbines. We spent our first range session sighting in the carbines at 50 yards. The rear sight is a ghost ring that can be adjusted for windage and elevation by loosening setscrews. I didn’t think I’d like this system at first but found it to be relatively fast and very accurate. From the prone position, my groups with Hornady’s 115-grain Critical Defense rounds were tighter than 1.5 inches. Like the pistol, we used the carbine in a number of different range scenarios and courses. We shot MGM steel targets and ran the Scrambler course of fire. Then we ended our day with an informal competition among the shooters that involved a great deal of ammunition and more steel targets. In the end, I think it’s safe to say that most of us put at least 500 rounds through our carbines that day. I don’t recall any of us having a stoppage or problem of any sort, even after coating the guns with a dusting of Gunsite grit while firing the guns from prone. I was chomping at the bit to get my hands on Ruger’s last product at the event, the Precision Rimfire. Also, it is similar to the super-accurate-yet-budget-priced Precision Rifle. It’s designed to give competitors the same feel as their centerfire competition guns. With the Precision Rimfire, you can adjust the bolt throw; it can be short—just long enough to eject an empty casing and chamber a new one—or the same 3-inch bolt travel as its centerfire counterpart. The bolt handle itself has a big knob just like the centerfire model’s. Ruger uses a free-floating M-LOK handguard, and the hammer-forged, 18-inch barrel sports a match chamber and muzzle threading. And, realizing that competitors may want to upgrade their barrel at some point, Ruger engineers designed the barrel to be replaceable. The receiver also features a 30-MOA top rail, and the chassis is molded from rigid glass-filled nylon. The buttstock is adjustable for both length of pull and comb height. As for controls, Ruger uses the same safety selector and trigger used on the centerfire Precision Rifle. There’s even a spot in the stock that holds an Allen wrench to adjust the trigger. Finally, the Ruger Precision Rimfire uses 10/22 magazines and comes with one 15-round BX-15 magazine. Shawn Skipper from Leupold was there, and each of our sample rifles wore a serious piece of glass. Mine had a Leupold 4-12x40mm VX-Freedom scope, and B&T Industries supplied Atlas bipods. We zeroed our rifles at 100 yards using subsonic 40-grain Eley ammo that clocked in at 1,080 fps from the Precision Rimfire’s 18-inch barrel. Our test rifles also sported Ruger Silent-SR suppressors, allowing us to shoot without any hearing protection. After zeroing in, most of my groups were around an inch wide despite the wind. Under better conditions and shooting from a bench, I think Precision Rimfire would be closer to a 0.5-MOA rifle. Hoskinson set up numerous steel targets along the Urban Scrambler at ranges under 100 yards; they were all easy to hit. The hardest part was getting into position and obtaining a solid rest with the rifle. One difficult setup involved shooting a pendulum-style target from a simulated pitched rooftop at about 80 yards. The target array consisted of four rimfire targets ranging from 4 inches in diameter all the way down to an inch. Of course, the smallest target was the most difficult to hit, but I managed to do so on my first shot. There’s nothing more fun than shooting a .22, but it’s even better when you use a super-accurate rifle like the Ruger Precision Rimfire. Whether it’s used strictly for competition or just to keep your skills sharp on a shortened range, this new Ruger should prove just as popular as its centerfire counterpart. It’s hard to keep up with Ruger and all of its new products. Launching something new approximately every 10 days makes it likely that you’ll find something that suits your taste in firearms. 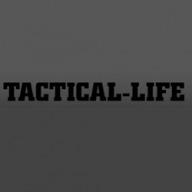 This article is from the November-December 2018 issue of Tactical-Life magazine. Grab your copy at OutdoorGroupStore.com. The post GUN TEST: Running 3 New Models From Ruger at Gunsite appeared first on Tactical Life Gun Magazine: Gun News and Gun Reviews.